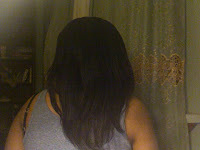 The Jen Chronicles - Relaxed Hair : Blowout and Flat iron at home! Blowout and Flat iron at home! Overnight deep conditioning with coconut oil and Alter Ego Garlic Treatment applied to the length, along with sweet almond oil applied to my scalp. The next morning, I shampooed twice using the L'oreal Everpure Moisturizing Shampoo. I then deep conditioned with Nexxus Humectress for 15 minutes using my heating cap. I know, it's been a while since Humectress and I have been together but I brought it out in preparation to heat style! I allowed my hair to cool for 5 minutes, then rinsed out the deep conditioner. I then applied Aussie Moist to my hair as a final rinse to check my pH and to assist in detangling. After rinsing, I t-shirt dried my hair for about 10 minutes and got started. Since I did my hair in the morning, that meant there was no time for overnight air-drying, or any of my usual low manipulation styles (I find when I use heat I get unpredictable results from some sets and twist outs), so I decided to straighten my hair! I haven't blow dried my hair since I began this hair journey in July '11, and I haven't flat ironed my hair since my birthday (end of October), so I figured why not! To begin, I applied my leave-in, Silicon Mix Bambú and began to detangle after t-shirt drying. I used my Jumbo Rake comb to get out the big tangles and then blow dried in sections. I used medium heat, high speed on my roots to dry and straighten them faster and cool air on the rest of the length to make sure it didnt dry out. Where was the heat protectant? There is a ton of silicone in Nexxus Humectress as well as the Silicon Mix leave-in. I opted to skip additional heat protectant to avoid heavy hair. Also, why no oil after applying my leave-in? I avoid heat styling with most oils. I'm aware that that many of the oils I use are safe up to the temperatures that I use to heat style, but since silicone is safest, I just stick with that. My roots were still a bit damp, so I let them dry naturally for about 2 hours. 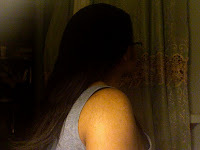 When they were finally dry, I began the flat-ironing process. In small sections, I applied a bit more of my leave-in to my ends to ensure a more moist result, and then along the entire length I applied the Redken Smooth Down Heat Glide. After allowing the remaining leave-in to dry into my hair (never flat iron wet or damp hair! 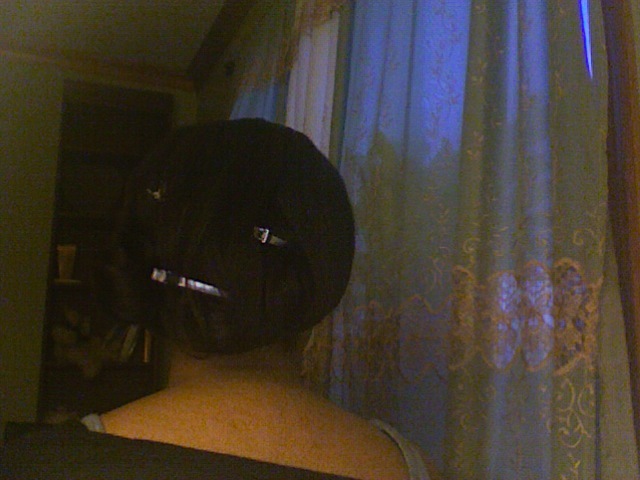 ), I took my 1'' Solia flat ironing and got to work. I was pleased by the smooth results and how silky and soft my hair felt. Pheww, gone are the days of bone dry, stiff heat-styled hair! For some reason I forgot to take a pic of the back of my hair. My hair held up pretty well for the evening; when I returned home I lightly applied the Mizani Butter Rich hairdress to my hair, very lightly sealed with pure argan oil and then wrapped my hair into 3 big pin curls. I'll snap a few pictures and return with those in a bit! 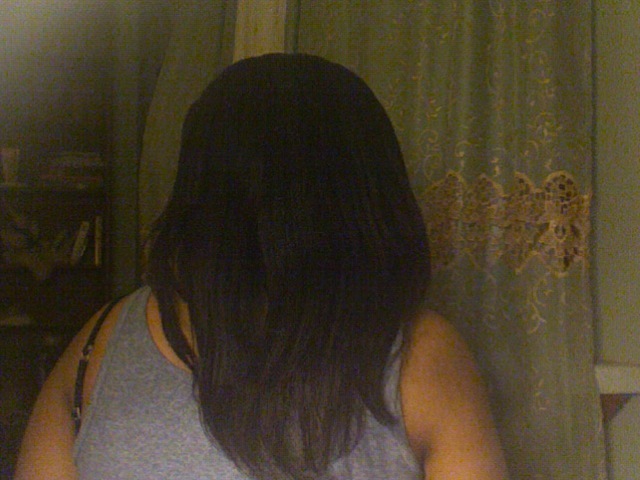 Great results, your hair has body after flat ironing which I love!